LANSING CLASS! 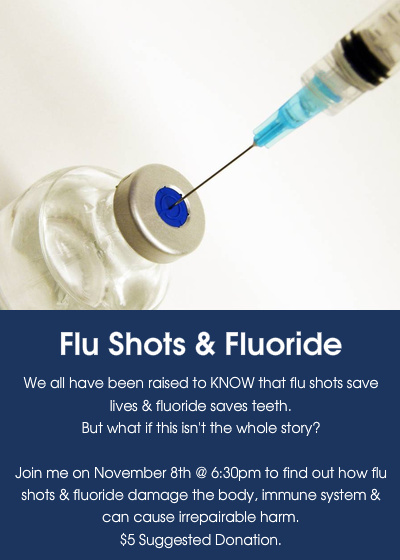 Flu Shots & Fluoride: What You Don't Know CAN Hurt You! Interested in learning more about vaccines? Have you ever heard that fluoride is bad for you? Come hear what yoru doctor and dentist won't tell you! ALL the info including class details, map to the venue and class time is at the link. A $5 donation is apprecieated. I hope to see you there! Flu Shot's & Fluoride RSVP Link!